Findings: Only one in four students have a basic understanding of digital citizenship concepts. It only takes 3 class periods to raise understanding for the whole student body. 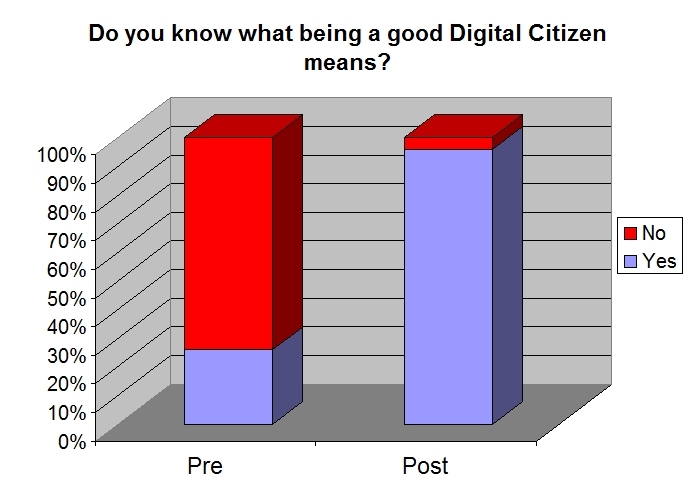 Only one in four students could answer “Yes” before the course, but after the Digital Wish training, nearly all students understood what it means to be a good Digital Citizen. “We saw incredible gains after just three class periods with the students in Nashua. Their understanding of Digital Citizenship translated immediately into safe practice.” said Eric Bird, the program director. After implementation of the Digital Citizenship curriculum, students in Windham Central Supervisory Union and Nashua School District saw the percentage of their students who understood Digital Citizenship triple and quadruple. This turnkey curriculum includes lesson plans, printable worksheets, activities, and a poster contest. The program teaches students and teachers about internet safety, media resources, and media copyright. Rapid gains were measured after just 3-4 class periods, and afterwards many students even considered themselves experts. There was a significant increase in their understanding of rights and responsibilities on the internet, protecting their personal information, and treating other people on the internet with respect. 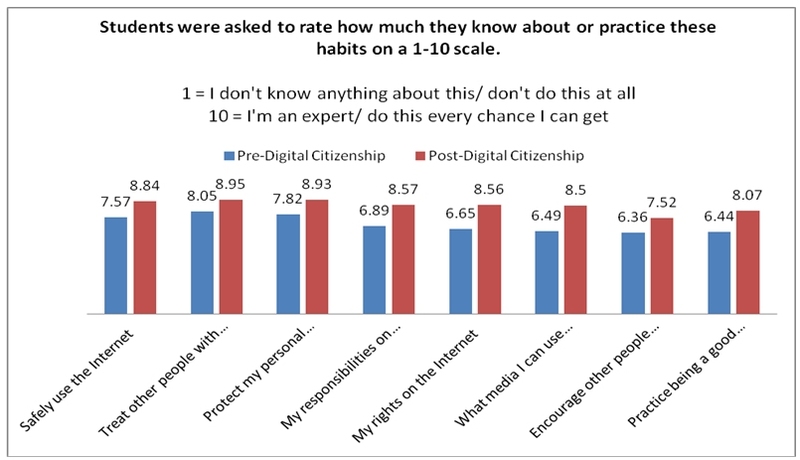 Students’ willingness to practice Digital Citizenship, as well as encourage others to do so, also doubled. The skills students gain from this simple yet critical course provide an important foundation for a lifetime of technology usage. 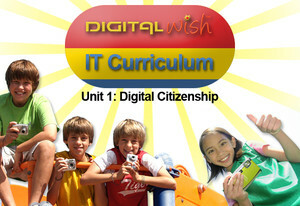 The Digital Citizenship curriculum is available for just $199 per school site license for the complete book / CD set. It includes videos, classroom-ready activities, lesson plans, printable worksheets, and a poster contest. For the full IT Curriculum click here.